Most Chromeo songs could have easily come from the ‘80s or ‘90s, and these twelve tracks are no exception. “Bad Decision” has some “bow-wow” sounds in the background that probably time-travelled here in a DeLorean. “Right Back Home to You (Interlude)” has a funky old school sound and the sultry tones of an uncredited female singer. Most ‘90s and ‘00s pop albums had one track with a rapper featured on it, and “Don’t Sleep” fits into that formula with Stefflon Don and French Montana. “Must’ve Been” (featuring D.R.A.M.) is bouncy, like a 2000s pop song, but it doesn’t quite fit with the rest of the album. “Just Friends” jumps back to the late ‘80s; it is so reminiscent of Paula Abdul’s “Opposites Attract” that Dave 1 even sings the words “opposites attract” in the duet with Marks. There’s plenty of ‘80s themes to the lyrics, too, especially when it comes to flashing wealth, even if our singer doesn’t have much. There’s spending to the point of amassing crushing debt to impress a new lady on “Bad Decision” and then there’s a blue collar guy dating a wealthy country club member on “Slumming It.” The latter could be setting up the premise of an ‘80s teen movie. It sounds a lot like “Miss You” by the Rolling Stones, including the disco-y keyboards, saxophone solo, and slinky, funky bass line. In a neat touch, the bass line on the bridge sounds as if you’re hearing it from outside the room, echoing how he is being kept outside of her social circle and the country club. With the unapologetic nods to the ‘80s, there’s always been a pretty high level of cheese to Chromeo. Some of the lyrics pile more cheese on, like on “Juice.” The lines are over the top with metaphors like “You’ve got the juice, that’s why I keep pressin’ ya, pressin’ ya.” I have some theories about what “pressin’” is, but I don’t want to know for sure. Got to keep some plausible deniability. 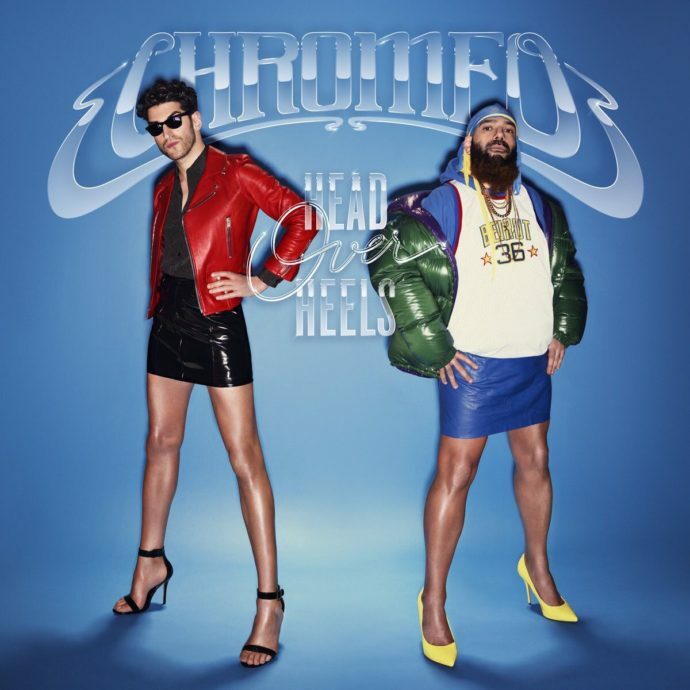 There’s a lot less confidence than on some older Chromeo songs; there’s no promise of bonafide lovin’, there’s more self-deprecation sprinkled throughout the lyrics. White Women‘s “Jealous (I Ain’t With It)” introduced us to an insecure character singing, so maybe this is just an extension. Some of the lyrics just get downright creepy, with “One Track Mind” as the worst offender. It features a man who seems to be stalking a woman by calling her from unlisted numbers and hanging up. He urges her “don’t believe your friends, I’m not a creep.” Non-creeps don’t have to state that they’re not creeps. Considering there is a former coworker who texts my friend from outside of her house with lines eerily like the ones in this song (he’s used something very close to “baby can you blame me looking good like you do.”) this is a bit too gross. In comparison, much of the album seems charmingly cheesy. The album ends with “Room Service,” which has a more classic Chromeo theme of spending a weekend making sweet, sweet lovin’ in between stealing the tiny toiletries from a hotel. It’s just fun without any head-scratching metaphors or icky storylines.